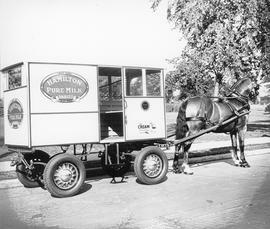 Item is an image of Hamilton Pure Milk Dairies horse and cart used for delivery. 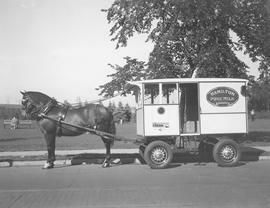 Item is a photograph of a Hamilton Pure Milk Dairies horse and cart used for deliveries. 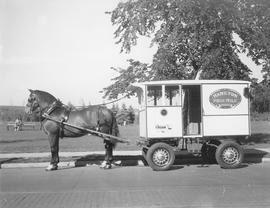 Item is a Hamilton Pure Milk Dairies horse and cart used for deliveries.